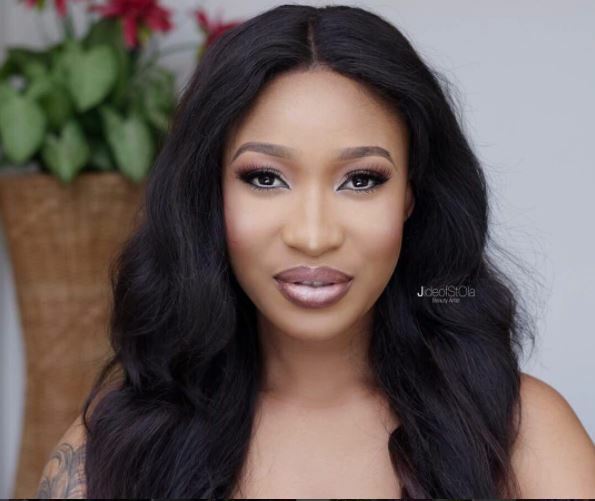 In an emotional post, Tonto Dikeh revealed what life was like for her as a newbie in Lagos 10 years ago and how she betrayed a helper and close friend because of her ex-husband, Churchill. Folake I still sit and ponder what kind of woman you truly are…You did all of this and much more and today I can only feel so much shame that when it was my turn to be a true friend like you were I betrayed that love because if a man. I remember how you begged me,knelt down,Cried and prayed with me when I told you I was pregnant with king and I had no intentions of been a mother..You spoke to me just like a true sister and God sent,you told me king wld be the greatest love I wld feel…Ever since that day I loved King,kept him and today am a mom and a Great one cos God used you to save us. 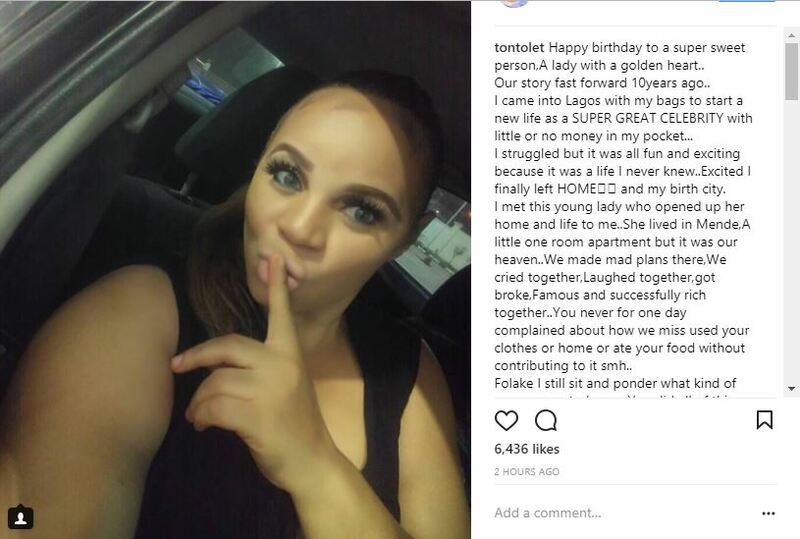 Am so happy for you,your success,your Life,your kids and everything that concerns you… Folake thank you for being such an awesome woman and letting God use you countless times to make me a GREAT PERSON. Happy birth my Aboro,My Daba Daba,My Oyibo Albino? ?